Ten easy dog cake recipes created by professional dog chefs and bakers to get you started! See the list with links at the bottom of the page. Each recipe calls for its own ingredients that you will either stir and/or fold into the basic mix. Pour the mixture into miniature cupcake liners placed in a miniature cupcake pan and bake. 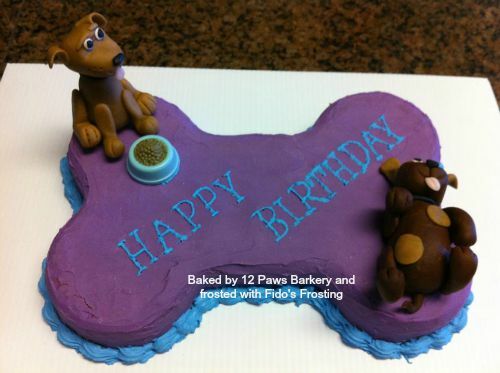 Or, use a silicone baking pan to make paw shaped dog cakes or bone shaped cakes. All of the ingredients are human grade, so feel free to taste the final product. Any of these dog cake recipes will make a cake for dogs and humans alike! The cake mix can be adapted for baking in the conventional oven or the microwave, whichever you choose. Dogs have different tastes and tolerances than humans. It is important to use healthy ingredients when designing a recipe for your dog cake. Avoid using a cake mix made for human consumption. If you want to know why, just pick up a commercial cake mix box and read the ingredients. Typically you will find sugar and chemicals in the ingredient list. The problem is that some of these ingredients may not be safely recommended for pet consumption. 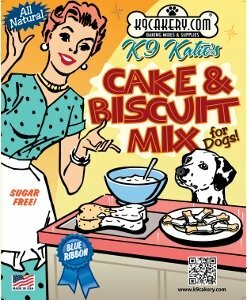 Try our dog cake recipes made using wholesome ingredients. If you ever have a question about a certain ingredient for your pet, always check with your vet before letting the animal ingest it. 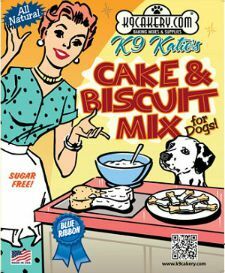 First decide if you want to make a cake from scratch or if you want to use a dog cake mix that has already been assembled with healthy ingredients for you. 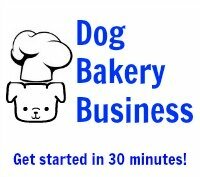 Dog cake mixes are a wonderful product because they provide all of the ingredients you need to make a healthy dog cake you will be proud to serve. Some of the ingredients in certain recipes can be difficult to find or may require you to purchase more than you need and end up getting wasted. You will need a cake baking pan. These come in many shapes, sizes and materials. 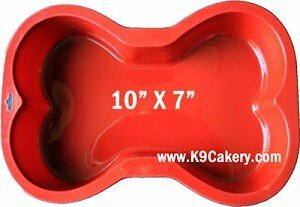 We love the silicone baking pans from K9Cakery.com. These pans hold their shape, can be used on both conventional and microwave ovens, can be placed into the freezer to create ice molds or ice cubes, and can be washed in the dishwasher. They will not rust or scratch. Read more about prolonging shelf-life by clicking here and learn about using sugar-free preservatives and mold inhibitors.